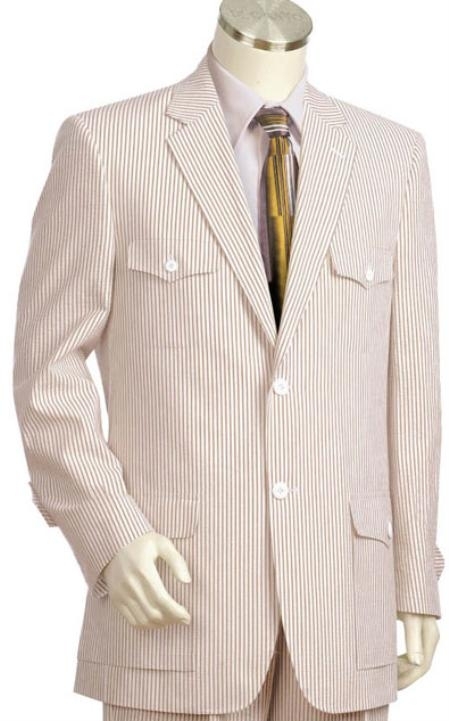 Mens seersucker suits that are bought from MensUSA are known for its quality and great looks. Are you a person who looks out for seersucker suits that are fashionable as well as great to wear, then you can go through the website to discover a lot of good collection that can be found in many size ranges as well as price? Seersucker is a full cotton material that is perfect for summer season. Wear them on during the sultry summer days if you are in a position to wear a suit compulsorily and at the same time wish to stay comfortable. The beautiful patterns on the fabric make it special and unique as you don't need to press it. 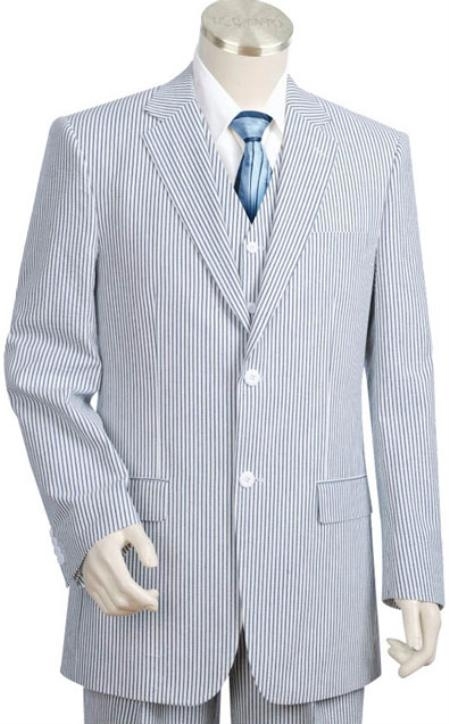 We can call seersucker suits as suit that requires very less maintenance unlike any normal suits that has to be well maintained for a perfect look. Summer is the time of the year that will allow you to dress in your casuals the most as full formal dressing will only make you feel sweaty. Make sure to dress up in anything made out of seersucker to enjoy summer at the fullest. It is a good choice to go for any summer friendly materials like full cotton and linen but, both of them has their share of disadvantage pertaining to maintenance. Both the materials will need ironing before we wear it on but a seer sucker is a special case that makes our job easy. Imagine a situation that will require you to be quickly dressed up in a suit for a casual business meeting outside your office; we are sure that your first choice will be a seer sucker suit as you can just wear them on straight from the suitcase or cupboard. Enjoy this summer friendly suit varieties this season.